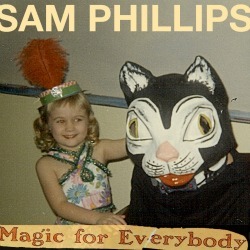 Sam Phillips is the whole package – blessed with a voice filled with color and character, a songwriter batting for the same high fences as The Beatles and Carole King, and lovely as a Godard leading lady. While not a staple on commercial airwaves, Phillips should be the standard for what gets played. Her music is both deeply infectious and deeply personal, a blending of 60s pop sensibilities and the more diary-minded singer-songwriters of the 70s. Since her 1989 debut, The Indescribable Wow, there’s been a cheering gravity to her music, a pull that’s powerful but playful – a combination much tougher to pull off than one might think. 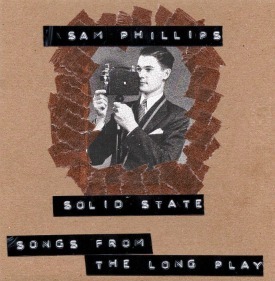 Phillips recently distilled a sampler from the Long Play entitled Solid State (released , a baker’s dozen that affirms her place as a peer to celebrated contemporaries like Gillian Welch, Aimee Mann, Michael Penn and Chuck Prophet – i.e. musicians who’ve chosen craftsmanship over the crap that constitutes most pop-rock today. 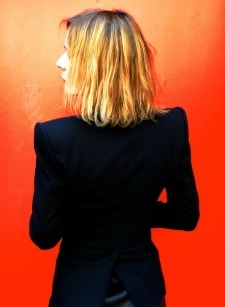 It was a great treat to snag a bit of Sam’s time for the Impound, where we dipped into her journey into independence as an artist, the machinations of the music industry, her collaborators, playing live, and more. The whole concept of the Long Play is fascinating – and a new model for how musicians can disseminate their work – but it had to be a challenge to condense that into a single album. That was not easy, especially with the whole thing being so quick. It was good that it wasn’t inhibiting; there were no rules and I did as much music as I could in the time period, which is not typical of what I’ve done in my career – I’m usually very slow at writing. The melodies come very quickly and the lyrics take a long time to figure out, but this [project] made me work fast, and I like that. It was a good exercise for me. But then trying to pull out songs that were a good representation of the project was a little bit tougher, and making it sound like a cohesive album was a bit of a challenge. You have some interesting things going on your recent songwriting like the way you inhabit inanimate objects on a few pieces. Wow, I hadn’t thought about that. I haven’t had a lot of time to think about what I was doing. It’s been full speed ahead! It’s a great poetic device. “Lever Pulled Down” jumps out at me in this way, where you put a human consciousness to something we don’t usually associate humanity with. That’s something I’ve done since I was a kid, always giving things names, driving around in the backseat of a car looking at mountains and thinking, “There’s a dinosaur there. He’s just buried underground, and he’s going to wake up one day.” I had those kinds of thoughts all through my childhood, and they’ve subsided a bit…but not really [laughs]. That’s cool that you carried that forward from childhood AND that you’re not really aware of it in your songwriting. 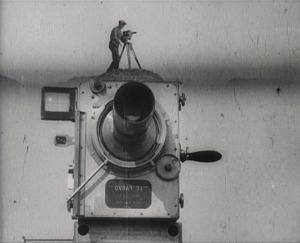 “When I’m A Camera” does a similar thing. Yeah, I’m sure a psychoanalyst would have a field day with it, thinking I’m maybe disenfranchised taking the role of an inanimate object when I’m a camera. I think anyone who writes songs is an observer on some level. So, when you went into the Long Play project you set a pretty ambition slate for yourself – five EPs and an album, plus lots of bonus cuts, essays and more. 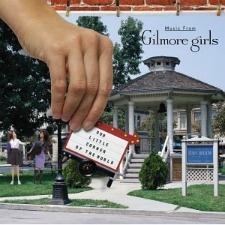 It was a crazy idea, but I’d come off working on music for the TV show The Gilmore Girls, which I enjoyed very much. I started off wondering if I should even be doing this, but I fell in love with the people and the characters and looked forward to scoring my show every week. You have to work fast in television – you just don’t have the time you do in movies or making records – and that was good for me. I wasn’t having to write lyrics, but afterwards I thought, “Let’s see if I can do this with songs.” I also thought this was going to be something between me and my core listeners. Not everybody is up for that many songs from one particular writer. I think the casual listener would find it taxing. It was nice to have a smaller group of people to put it out to. At times, I felt like I was a radio station DJ because it was so immediate. We’d record and send them out to the listeners right away, and that was a great thrill and maybe the thing I liked the most about it. That takes rock ‘n’ roll back to the 1950s, where you’d cut your single in the recording booth and it would be done. Then someone would put it on the platter and that was that. 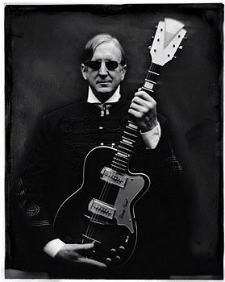 It’s funny you should say that because one of the ideas behind the Long Play came from my ex-husband T-Bone Burnett. When he was a teenager, he and his friends bought a studio in Fort Worth, Texas, and they would do that. It was downstairs from a local radio station, and they had their own lathe and would just walk the record up to the radio station and hand it to the DJ, who sometimes played it and sometimes didn’t. But what a great idea! I think it’s everybody’s fantasy of what we’d like to be doing in the record business. On the other end of things, once you finish a record and you go out on the road to take it out live, you should do something different. Even if you have the same instrumentation and the same musicians, I’ve found all of us want to do completely different arrangements and find new sounds. That’s what’s exciting about having ALL these new songs to play with. I’m so looking forward to getting out and seeing how we can rework these songs. But you’ve always done that throughout your career. The staples from say Cruel Inventions don’t sound at all like they did in 1991. I think that’s a good thing! That is just my take. I’ve been to see alternative bands that have used recordings of background vocals and other instruments, and I always think, “Really?” I’d rather hear one person live with a guitar than a bunch of stuff on tape or a computer. I’m an analog girl and always have been. That approach, the overreliance on technology, can produce terrible accidents live. Like total train wrecks, no survivors [laughs]. It’s a lot more interesting to have musicians drop chords or make mistakes. It’s happened to me many times where I’ll forget a song midway through and have to start over. I don’t mind any of that stuff. I don’t know if audiences do, but to me, it’s all just the variables of playing live. It’s not as if you don’t have pretty gifted people playing with you on the road and in the studio. 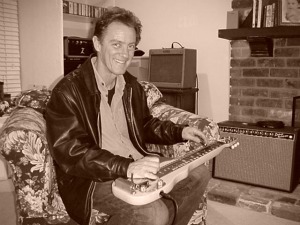 I was delighted to see Greg Leisz was part of the Long Play. He’s a wonderful musician to bring into a session because he’ll immediately play something beautiful. I did some shows with him in 1996 where he was my main accompanist, and that’s a whole other side of him. He’s an amazing guitarist as well as the other instruments he’s known for. The other person that comes to mind in this area is Marc Ribot, who has so much wit and humor. He has so much to say. One of the things about Ribot, who’s a wonderful avant-garde player, that I’ll always remember is this one time Marc, T-Bone, Gillian Welch and I did a show together in Chicago at the Steppenwolf Theatre. For his number he did “Old Man River” with just him on guitar, and the way he played it – his interpretation, his deconstruction of it – was just loaded. I love when a musician takes a familiar piece that seems to have no more juice to it and squeezes out something wonderful. It was a heavy moment. Not everyone is going to think that deeply about a song or embrace that level of emotion but I love that. 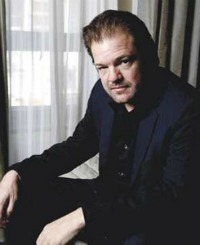 The drummers I use – Jay Bellerose or Jim Keltner – they put so much of who they are into their playing. I was going to bring up Jay because I think he’s one of those guys that deserves way more credit than he gets. His feel is just incredible. And he’s so much fun to work with in the studio, maybe because I make him laugh as a songwriter. He’s been playing with Ray LaMontagne, so he probably needs a laugh! I’m incredibly jealous of Ray right now because he’s got such an incredible band! One of the songs I’m excited to put out on a record next year has Jay following what I was doing on guitar and it was like a tango. He’s unconventional like that, and he shows his humor because he finds me funny sometimes as a songwriter – laughing at me even – and he’ll follow me off the cliff. Jim Keltner is like that, too. I’ve found that every take is a completely different feel of the song with Jim. That’s what makes it hard to be in the producer’s seat, where you’re trying to decide which brilliant direction to go in [laughs]. They give you a lot of options and just incredible support. When you don’t have those restrictions – those things I’ve worked under for so long – the question becomes, “What’s left?” It’s interesting to ask yourself what really needs to be on a track – what’s too much, what’s too little – and all of that was an interesting experiment. It’s said that economy is the essence of art, and I think it’s true. I’m sure if I’d had twice the budget I’d have spent it. People think musicians are all trying to get rich but most musicians I’ve known and admired, from Tom Waits to T-Bone to whoever, they were always going the extra mile – spending more on the musicians, putting everything extra they had into their art than makes sense businesswise. We’re not business people. As it should be. People have just accepted the combination of “music” and “business” as if it’s always been, and it kind of diminishes the important part of the phrase – music – by tying it to business. It’s a hard thing to fight against, but I think going directly to one’s core audience and cutting out the industry a good deal is going to be a growing trend. I didn’t start out trying to reinvent the record industry. Again, I’m not a business person, and I’m not a tech person, but I think it’s important which way the business goes. I’m probably going to have to partner up with a record company to get some of my music out there, but I won’t ever give up going directly to my listeners because it’s too vital, too important. And we have the technology to do that, so why not? It’s so easy to do, and record companies are shrinking. They have less power and money, so they seem to be welcoming that kind of thing because it keeps the dialog open, keeps me in contact with my listeners, and it’s smarter all around. It makes for better art in the long run. It’s such a crazy time that a lot of things that were impossible before are now options. I’ve compared the current era with the late 1960s and early 1970s, where the record companies couldn’t predict what would be a success so they were willing to throw a lot at the wall to see what stuck. Sure things turned out to be bombs and amazingly original work turned out to be big successes. If you had told people about Sgt. Pepper’s two years before its existence they would have said you were out of your mind to think it would be a hit. There’s an air of that now with advances in recording technology and the internet. I hope so, and I hope another result of that is people who are really artists and really musicians will be involved in the music business. There were so many business people who came in and looked at the numbers, and it became like a Kleenex company. It was anything but the music, and I hope all the downsizing and not great things we’ve been through will make for better music and a better life for musicians. I hope it works out; I want to see how long I can do this without having a hit [laughs]. You’ve been so prolific lately that you’ve got to have some routine to produce this amount of work. Even though I try to write a little bit everyday – whether it’s a few lines or a melody – it’s still dependent on the muse and moments of inspiration. Fortunately, I’m not a machine in that sense, but I think I’m less inhibited, especially because a lot of the standards I was holding myself to were just random and unimportant and not helping me. I’ve managed to throw a lot of those off, especially being older and being outside of the pop arena, I feel like it makes no sense to hold myself to any standards I don’t feel are important. No one cares. It’s not going to matter and it doesn’t make any difference. What I’ve got to do is make music that sounds the best to me and I feel strongly about. The benchmark one uses comes through, subtly or loudly, in the music they make. If you’re trying to make product, you hear that, and if you’re aiming for capital “T” truth or capital “B” beauty, that also comes through. The latter is resoundingly true with your work. Wow, that’s a great compliment and I’m glad it comes through. The way I came up with T-Bone, I test drove his ideas and philosophies and saw his mistakes even, and the thing I always admired is how he just kept moving forward and growing and changing. Besides the fact that I adore him, I think the fact that I made record after record with him was it was always different and always had new things to try. It was so vital and engaging, and I feel the same way about making songs and working with musicians. And right now, I’m so, so excited about writing songs.